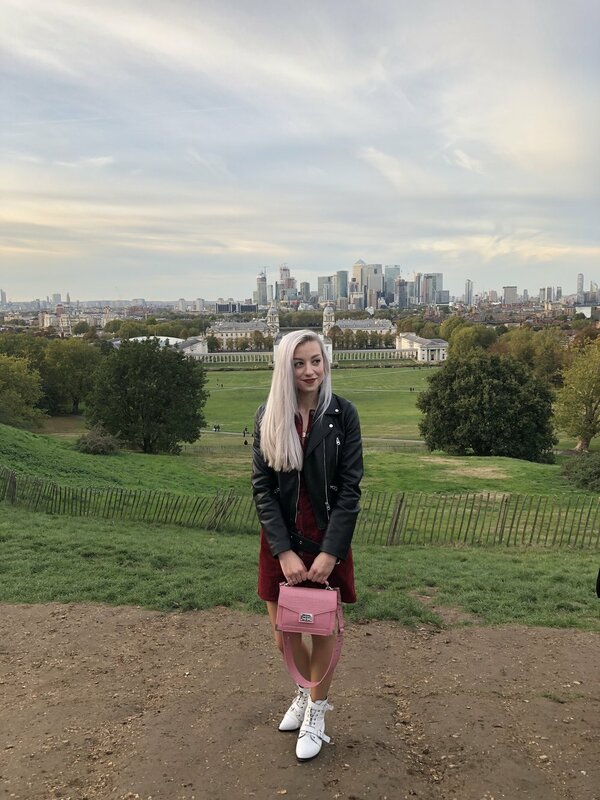 For this week’s post, I wanted to look back at some of the most Instagrammable places I’ve visited while in London, in case you ever want to visit them yourself! Below are the most picturesque places I’ve seen while I’ve been here and places I definitely think you need to check out for yourself! Comment down below if you have any questions or if you have any recommendations of gorgeous places I need to visit in London next! Everyone wants to get that classic red phone box photo when they come to London, don’t they?! Thanks to Lucy, one of the lovely photographers I’ve met here in London, I’ve found a few that are usually quiet enough to take some good pics! It’s just next to Covent Garden, a couple minutes walk from the Covent Garden tube station. Check out this blog post of mine to see some great photos taken by Lucy at these phone booths. If you’re looking for drinks with a view and an amazing interior, Sky Garden is the place to go! You have to book a week or two in advance, but it’s definitely worth it! The inside of Sky Garden looks a bit like a jungle with tropical plants filling any spare space and the view from the top of this building is amazing. You get a great view of most of London including the Shard, Big Ben, Tower Bridge, the Gherkin, and the Thames. We had smoothies and appetizers when we went which were delish. If you’re looking for over-the-top pink floral wonderfulness, this is the place for you! Along side delicious cakes and sweet treats, Peggy Porschen’s also offers one of the most Instagrammable shop fronts I’ve ever seen! It’s quite busy so I recommend going early, but it’s definitely worth a trip if you’re in London! If you’re looking for some colorful backdrops, Nottinghill is the place to go! There are beautiful locations dotted all over Nottinghill and it’s definitely worth checking out these gorgeous houses. This secret roof top gem, Rooftop Terrace One New Change, is an amazing location for photos with the famous St Paul’s Cathedral in the background! I recommend going up during sunset to get the full effect. If you’re looking for a more street vibe, Shoreditch is the place to go. There’s interesting street art on nearly every corner (plus some amazing vintage shopping!). You’re sure to find some art that would suit your Instagram aesthetic. Another unexpected place with a great view is Greenwich Park! It’s the perfect place if you’re looking for a bit of peace and quiet from the bustle of the city, plus you get to see lots of dogs which is always a major perk for me haha! Thank you so much for reading this week’s blog post! I hope you’ll visit some of these beautiful locations in London, that I’ve been lucky enough to visit. Comment down below if you have anymore recommendations for places I need to visit next time I’m in London! My list is ever growing. Special thank you to my friends, Rosaria, Lamia, and Lorenza for taking all of these photos of me! I’ve had so much fun adventuring around London with them. Check back in next week for another post!